This is from a comment I recently received on this blog. Yes, of course, MDs do not always reveal the full truth to their patients; sometimes they might even tell lies (in this post, I shall use the term ‘lies’ for any kind of untruth). So, what about these lies? The first thing to say about them is obvious: THEY CAN NEVER JUSTIFY THE LIES OF OTHERS. the lies of MDs cannot justify the lies of alternative practitioners. The second thing to say about the lies of MDs is that, in my experience, most are told in the desire to protect patients. In some cases, this may be ill-advised or ethically questionable, but the motivation is nevertheless laudable. I might not tell the truth when I say (this really should be ‘said’, because I have not treated patients for many years) THIS WILL NOT HURT AT ALL. In the end, it hurt quite a bit but we all understand why I lied. I might claim that this treatment is sure to work (knowing full well that such a prediction is impossible), but we all know that I said so in order to maximise my patient’s compliance and expectation in order to generate the best possible outcome. I might dismiss a patient’s fear that his condition is incurable (while strongly suspecting that it is), but I would do this to improve his anxiety and well-being. I don’t want to go into the ‘rights or wrongs’ of these claims (mostly wrongs, as far as I can see). Instead, I would argue that any MD who makes a claim that is wrong behaves unethical and should retrain. If he erroneously assumes the claim to be correct, he is not fully informed (which, of course is unethical in itself) and needs to catch up with the current best evidence. If he makes a false claim knowing that it is wrong, he behaves grossly unethical and must justify himself in front of his professional disciplinary committee. 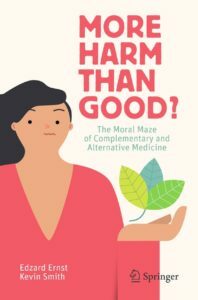 As this blog focusses on alternative medicine, let’s briefly consider the situation in that area. The commentator made his comments in connection to a post about chiropractic, so let’s look at the situation in chiropractic. 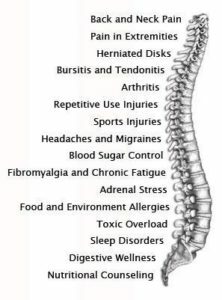 Do many chiropractors claim to be able to treat a wide array of conditions without good evidence? Do they misadvise patients about conventional treatments, such as vaccinations? Do they claim that their spinal manipulations are safe? Do they tell patients they need regular ‘maintenance treatment’ to stay healthy? Do they claim to be able to diagnose subluxations? Do they pretend that subluxations cause illness and disease? Do they claim to adjust subluxations? If you answered several of these questions with YES, I probably have made my point. On reflection, it turns out that clinicians of all types do tell lies. Some are benign/white lies and others are fundamental, malignant lies. Most of us probably agree that the former category is largely negligible. The latter category can, however, be serious. In my experience, it is hugely more prevalent in the realm of alternative medicine. When it occurs in conventional medicine, appropriate measures are in place to prevent reoccurrence. When it occurs in alternative medicine, nobody seems to bat an eyelash. My conclusion from these random thoughts: the truth is immeasurably valuable, and lies can be serious and often are damaging to patients. Therefore, we should always pursue those who tell serious lies, no matter whether they are MDs or alternative practitioners. How turn a negative trial into a positive one? Simple, just cheat! Sipjeondaebo-tang is an East Asian herbal supplement containing Angelica root (Angelicae Gigantis Radix), the rhizome of Cnidium officinale Makino (Cnidii Rhizoma), Radix Paeoniae, Rehmannia glutinosa root (Rehmanniae Radix Preparata), Ginseng root (Ginseng Radix Alba), Atractylodes lancea root (Atractylodis Rhizoma Alba), the dried sclerotia of Poria cocos (Poria cocos Sclerotium), Licorice root (Glycyrrhizae Radix), Astragalus root (Astragali Radix), and the dried bark of Cinnamomum verum (Cinnamomi Cortex). But does this herbal mixture actually work? Korean researchers wanted to find out. The purpose of their study was to examine the feasibility of Sipjeondaebo-tang (Juzen-taiho-to, Shi-Quan-Da-Bu-Tang) for cancer-related anorexia. A total of 32 participants with cancer anorexia were randomized to either Sipjeondaebo-tang group or placebo group. Participants were given 3 g of Sipjeondaebo-tang or placebo 3 times a day for 4 weeks. The primary outcome was a change in the Anorexia/Cachexia Subscale of Functional Assessment of Anorexia/Cachexia Therapy (FAACT). The secondary outcomes included Visual Analogue Scale (VAS) of anorexia, FAACT scale, and laboratory tests. The results showed that anorexia and quality of life measured by FAACT and VAS were improved after 4 weeks of Sipjeondaebo-tang treatment. However, there was no significant difference between changes of Sipjeondaebo-tang group and placebo group. From this, the authors of the study concluded that sipjeondaebo-tang appears to have potential benefit for anorexia management in patients with cancer. Further large-scale studies are needed to ensure the efficacy. Well, isn’t this just great? Faced with a squarely negative result, one simply ignores it and draws a positive conclusion! As we all know – and as trialists certainly must know – controlled trials are designed to compare the outcomes of two groups. Changes within one of the groups can be caused by several factors unrelated to the therapy and are therefore largely irrelevant. This means that “no significant difference between changes of Sipjeondaebo-tang group and placebo group” indicates that the herbal mixture had no effect. In turn this means that a conclusion stating that “sipjeondaebo-tang appears to have potential benefit for anorexia” is just fraudulent. This level of scientific misconduct is remarkable, even for the notoriously poor Evid Based Complement Alternat Med. The journal is de-listed from Medline because similarly misleading nonsense has been coming out of this rag for some time. The paper is withdrawn because it can only mislead vulnerable patients.